It is never easy to enter a parent into a nursing home; however, it could be the best option for their health and wellbeing. Rather than worrying about the downsides of the process, focus on the many ways you can improve their quality of life at their new home. If you are unsure how to do so, read the below advice on how to care for a parent in a nursing home. Many people often confuse assisted living with a nursing home, but both options are very different from each other. It is, therefore, crucial to enter your mom or dad into the right facility for their needs. For example, nursing home residents will require 24-hour care and monitoring, as they may have complex health issues. However, an assisted living facility will provide its residents with custodial care. While you might be unable to provide your parent with the support they need each day, your mom or dad might be opposed to moving into a nursing home or assisted living community. If they have good cognitive ability, try to involve your parent in the decision-making and planning process so that they will feel in control of their future living arrangements. It will ensure they are happy once they arrive at their new home. Once your mom or dad feel settled in their new home, you must identify a visiting schedule that works for both of you. How often you visit will more than likely be determined by how well they are adjusting, as you might need to make daily visits or phone calls to provide them with both comfort and support. If you’re unsure, talk to the care team to decide how much interaction they need each day for a better quality of life. If you believe your elderly parent is in immediate danger, don’t hesitate to call the police. Report the abuse and/or negligence to a long-term care ombudsman and consider making a medical negligence claim. Regardless of your differences, always talk to a care team in a polite, respectful manner. 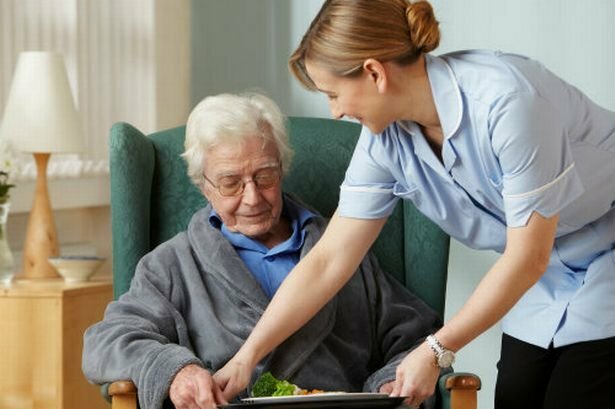 This will ensure you receive as much information as possible regarding your parent’s care and the internal processes, so you can sleep easy at night knowing your mom or dad is both happy and healthy at a nursing home or assisted living facility.